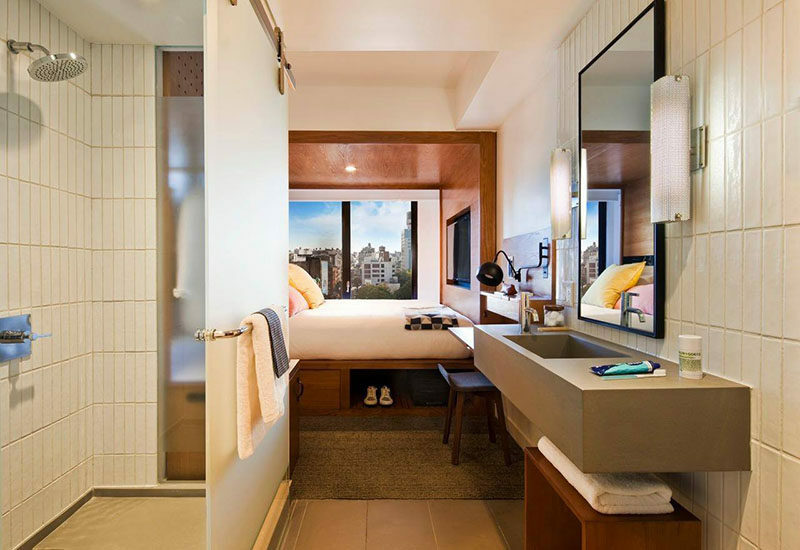 At the newly opened Arlo Hotel in New York, the rooms are known as a micro-suite, because the rooms average just 160 sq ft in size. 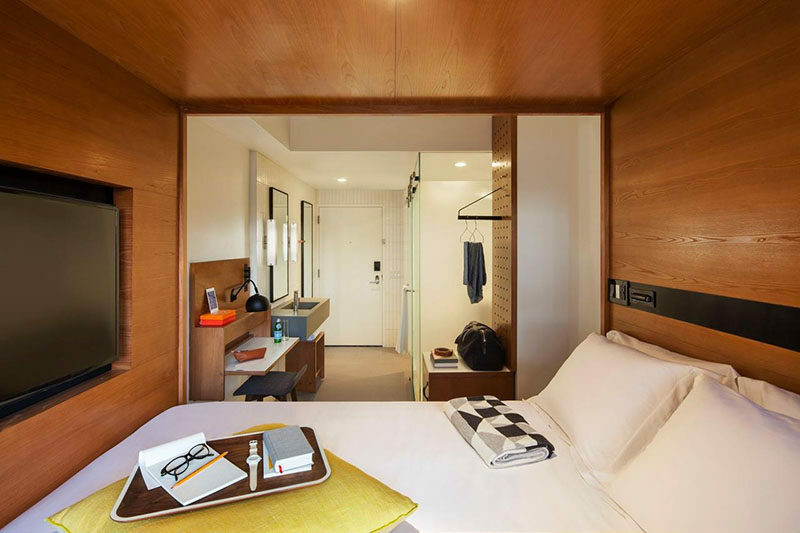 To make the most out of the space, they completely built-in the bed with a wood surround that neatly tucks into the design of the room. 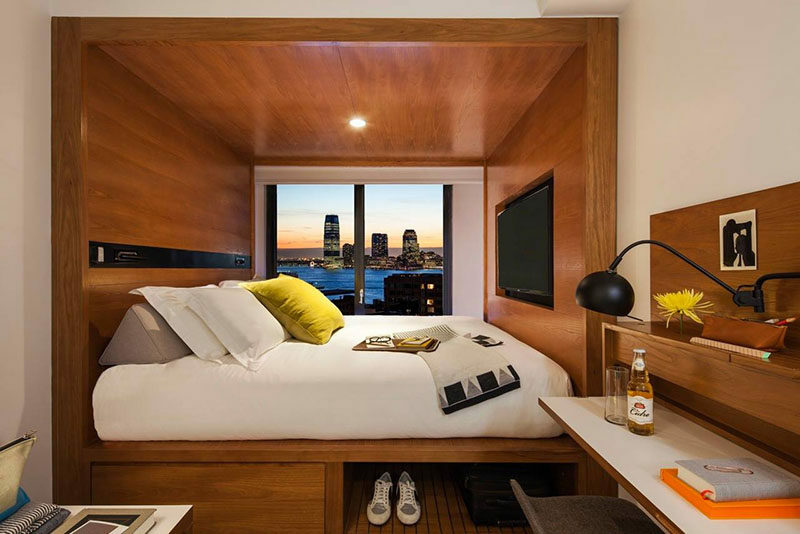 By building the bed surround into the shape of the room, they were also able to use the space under the bed and turn it into luggage and clothing storage. Not only does the wood surround draw your eye to the bed and city views beyond, it also acts as a home to the television that sits flush with the surround and the reading lights above the pillows.